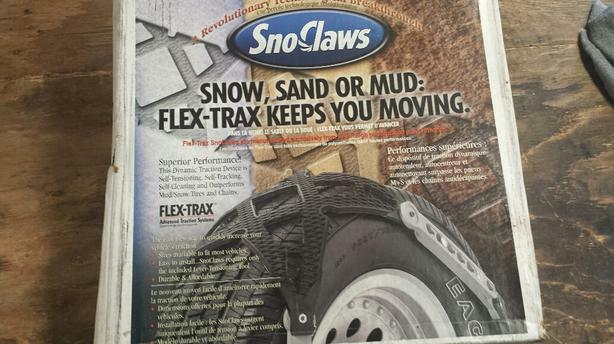 Sno Claw Flex-Trax snow chains. Fits 14, 15 ,16" tire sizes per attached chart. Composite construction, no metal pieces so very light.